Today, over 40 law enforcement agencies from all over Marion County and the State of Oregon descended on Wal-Mart on South Commercial in Salem. With smiles on their faces, the occasional Santa hat and an unmatched holiday spirit, deputies, officers, and volunteers served over 600 kids who otherwise may not have had a Christmas present to put under the tree. Stories like Ivan age 12 who waited patiently in line clutching the two gifts he selected, and a smile from ear to ear gleefully stated, “I’ve never got this much stuff at one time.” Shop with a Cop is an event that has been in existence over 21 years. 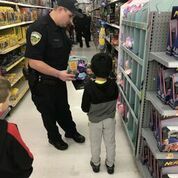 The event pairs law enforcement with a child and together they shop! Presented by the Believe In Your Community Foundation, Walmart and countless community donations the event is something the Marion County community looks forward to and can count on to help those in need. “We can’t tell you how much this event means to Walmart and our associates. 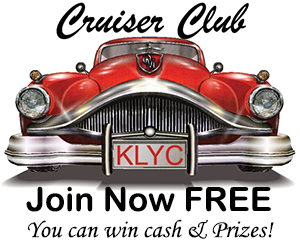 This is my 18th season and an event we look forward to every year. We are thankful we can donate our store to help others have a happy holiday season,” stated, Sarah store manager Walmart store #1920. Walt Schulz the President of the Believe Foundation stated, “At Believe our slogan is, believe in your community. The fact we can help create an event that makes the Christmas season possible for those less fortunate is the very basis our foundation was built on.